Test CleanFlight 1.12.0 Failsafe-RTH and Failsafe-Land. Set Throttle = Hold , for hold throttle while failsafe stage#1 activate. Test CleanFlight 1.12.0 failsafe-RTH then land. bu use this failsafe stage#1 and stage#2 setting. on this video, you will see that cleanflight 1.12.0 can do failsafe-RTH but don’t have RTH-altitude setting. and it can do failsafe-land but so poor, because of it use throttle-land setting that hard to set for good landing. I think, for cleanflight 1.12.0 I will use only failsafe stage#1 to do failsafe-RTH and let it position hold at launch point. that will better than let stage#2 do poor failsafe landing. 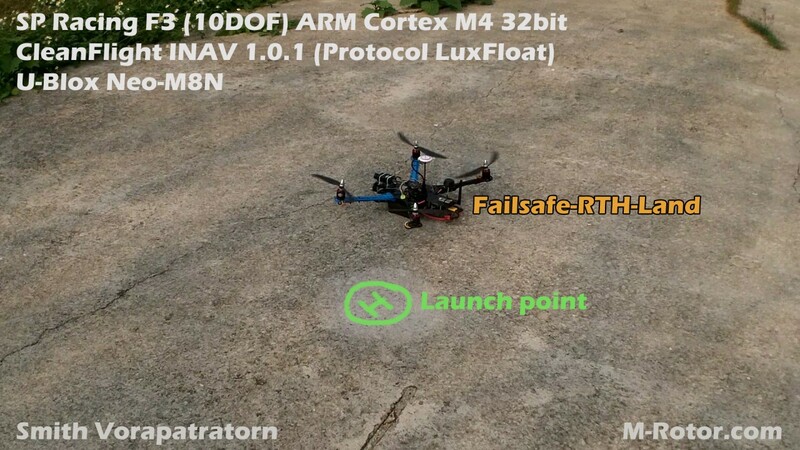 Test CleanFlight INAV 1.0.1 failsafe, failsafe-RTH failsafe-land. 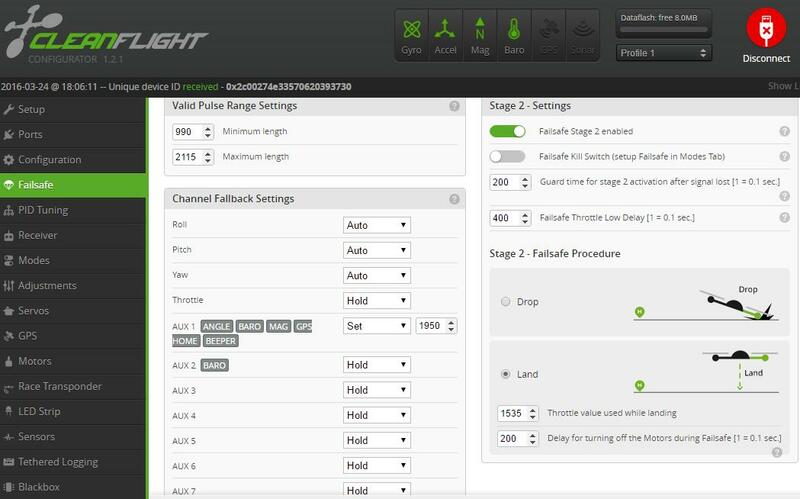 CleanFlight INAV 1.0.1 it do failsafe-RTH and failsafe-land better than CleanFlight 1.12.0 so much. we can set RTH-altitude, Landing speed in mm/sec. So it can flying to home in safe altitude and can do soft landing. thanks for greate videos Sir..
could you mind to share me how to you tuned the PID…? and the picts oof your modes…? thats your setup in INAV or Cleanflight..?